I started Bel Canto at the beginning of February and I'm not here to say it isn't amazing. There's a quote on the cover of my copy that says it's "its own universe," and that is a completely accurate statement. When you're reading it, you're completely immersed in the world of the book. Ann Patchett's writing style is lyrical and beautiful, and it's a really really good novel. So then why do I have such trouble picking it up again after I put it down? It's not because there's no plot, because there is a plot; and it's not because the story's boring because how can a story about people being held hostage be boring? It's not boring. I just feel no investment in the outcome of this situation and have no curiosity about what will happen next. I seriously think there's something about my brain that only responds to genre novels. Like I'm really only interested in genre novels, have been ever since I was a kid, and if a book doesn't fit into a certain genre I don't even know how to approach it. What's a story even supposed to be about if it doesn't fit into genre? That's the question. 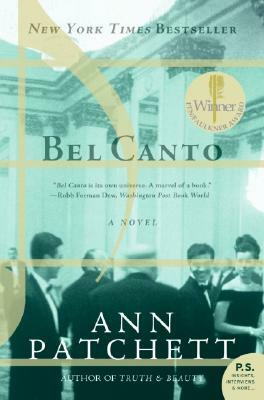 Maybe I'm just not used to dealing with literary fiction and I need patience to work through Bel Canto. It would probably be worth it; but it's a library book, so I might not finish before it's due. Clearly I don't have a lot of motivation here. Is there a type of book that you struggle with?